When should I fill a customer’s tank? 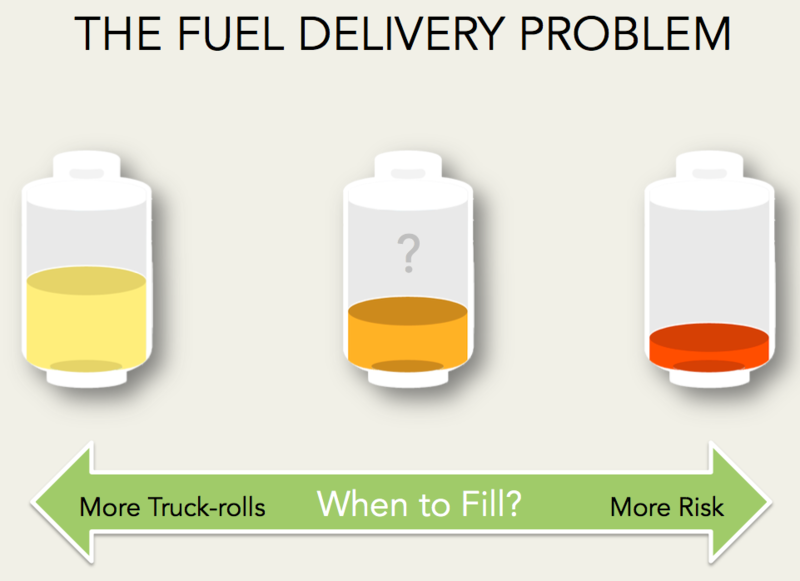 This is the fuel delivery conundrum in a nutshell. If you deliver too early or often, you can leave margin on the table for the customer with inefficient drops. If you wait too long, you may decrease your truck rolls but increase the likelihood that a customer runs out. It’s an important decision and one that is getting much more focus as organizations look at propane tank monitoring. For most, it’s not a decision of if they should use tank monitoring to get more certainty into their customer tank levels but a question of where to start. In this blog, we want to look at the types of customers that are perfect entry points for tank monitors as you look to test tank monitoring at your organization. Propane suppliers that are successful with tank monitoring realize that tank monitoring like anything else is about priorities. While having a tank monitor on every tank might be the long-term vision, it just doesn’t make economic sense to start there. It’s about identifying the accounts that are melting away at your customer relationships with run-outs (and in turn, repeat revenue) and/or are so inefficient that you aren’t making enough money on the customer. These are the accounts where tank levels are the most difficult to determine with formulas around degree days and K-factors. Inconsistent Usage: Residential accounts that just use heating can be managed pretty well with K-factors and degree days but there are a ton of accounts that experience usage patterns that are unpredictable. Commercial accounts and vacation homes are often culprits but there are also many accounts where seasonality will impact usage patterns in a way that is hard to measure. Multiple Deliveries a Day & Week: If you are delivering daily or weekly to a customer, it can make sense to know the real-time tank level to ensure the best routing to these accounts in coordination with other key customer accounts. Multiple Usage Types: Accounts where propane is used for multiple usage types including heating will often show inconsistent usage and monitoring is a benefit to ensure you understand when huge drops in tank level happen to prevent run-outs. Risk Aversion for Run-outs: There are some accounts where a run-out of propane can lead to very un-happy (and probably lost) customers and this takes top priority vs. just efficiency. Most commercial accounts and propane generators fit this bill. Isolated Customers: We all have the customers that require a driver to travel long distances for small drops and these customers are great candidates for a monitor to ensure the largest drop sizes and advanced notice around tank levels to limit run-outs. These are some of the high-level reasons for using tank monitors on customer accounts. Think of your portfolio of customers right now, I’m sure there are customers that fit one or multiple of the above to consider. Tank Monitoring is about ensuring higher margins for your business while improving the overall customer experience. However, not all customers are created equal and when considering tank monitoring it’s important to determine the accounts where tank monitoring can have the greatest impact as a starting point. One way to do this, which many tank monitoring companies provide, is doing a Delivery History Analysis on past deliveries. This analysis can look at past deliveries by account to identify and rank order the customer accounts where tank monitoring would be the most profitable. A game plan like this will provide the basis for deciding on how many monitors to buy and your strategy for which customer tanks to deploy to first. It will also ensure that your tank monitoring project provides a profitable return on investment faster for your business. Interested in a free delivery history analysis? Schedule one with a tank monitoring expert!